Heswall, at the time of the orphanage, was in Cheshire, boundary changes mean that it is now in Merseyside. 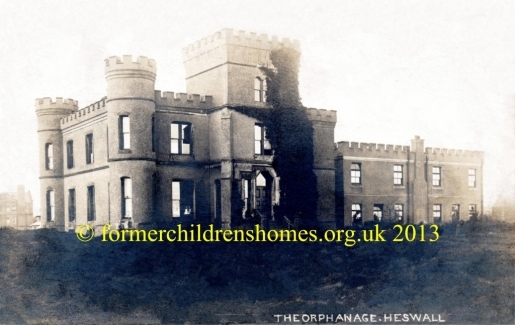 The castle-like building was initially built as a 'folly' (quirky constructions popular in the Victorian era) by Mr Tetherington in 1865 but, as his wife didn't like it, they never lived there. After he sold it, it was turned into an orphanage for girls in the 1890s. However, it didn't last long and it closed in the 1930s. It was demolished soon afterwards.